Produced in high quality gray cast iron, the Frum brake discs ensure, above all, efficiency combined with safe and comfortable braking. The discs are also tested and approved on the Truck Cup, where all competitors make use of them in extreme situations, such as braking at speeds above 240km/h, when they reach temperatures that surpass 950°C. Produced with the highest technology in foundry and machining, Frum brake discs meet a large number of applications and manufacturers specifications, including compatibility with ABS systems. 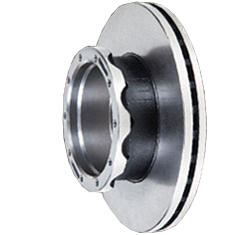 Frum brake discs withstand high temperatures and extreme mechanical pressure when receiving friction of the pads, so preventing the rotating movement of the vehicle wheels. The quality of the raw materials and the chemical composition of the brake discs make the difference in the service life of the parts, reducing the risks of cracking, warping, corrosion and increasing resistance to thermal shock when in direct contact with water. Perfectly machined contact surface for the best possible friction with the pads, increasing the performance of the entire brake system and minimizing undesirable vibration and noise. 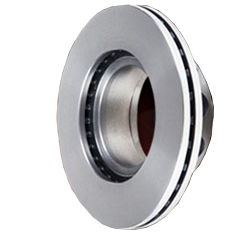 Frum brake discs are compatible with anti-lock braking systems.